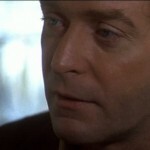 The Black Windmill is a thriller about British agent Tarrant (Michael Caine) whose son has been kidnapped and is being held ransom for diamonds. Tarrant finds out that the people he thought he could trust are no longer on his side to help his son and desperately works to do all he can to get him home safely. The screenplay was adapted by Leigh Vance (Dr Crippen, Piccadilly Third Stop), based on Clive Egleton’s novel, Seven Days to a Killing. 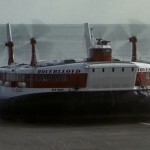 The production visited Ramsgate Hover port at Pegwell Bay to film the scene where Tarrant makes his way across the channel and sneaks onto a bus on board the hovercraft. Formerly the home of Ramsgate Hover Port, Pegwell Bay is now a National Nature Reserve offering distinctive sea cliffs, parking, toilets, a cafe/restaurant and picnic areas. 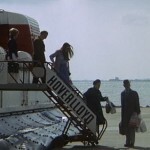 The Thanet area has featured in a variety of productions such as EastEnders (2015), True Love (2012) and The Big Sleep (1978). 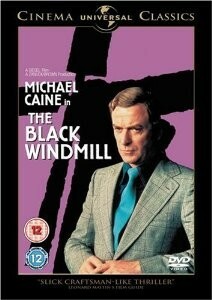 The Black Windmill was released on the 2nd of August 1974 and is now available on DVD and online. 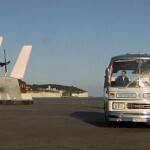 This entry was posted in Filmed in Kent and tagged Delphine Seyrig, Don Siegel, Donald Pleasence, feature film, Michael Caine, Pegwell Bay, Ramsgate Hover port, The Black Windmill film locations. Bookmark the permalink.